No investors can "dictate decisions to Epic". 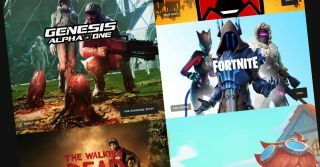 Among the many criticisms levelled again the Epic Games Store, perhaps the most bizarre is the accusation that it is, in fact, spyware. Not any old spyware, either. Chinese spyware! According to the conspiracy theorists, the Communist Party of China has access through Tencent, which owns 40 percent of Epic. Today, Epic CEO Tim Sweeney tackled the claims. "I support everyone’s right to complain about tech industry stuff," Sweeney wrote in a Twitter thread, which you can read below. "Epic’s store, with exclusive games and a spartan feature set, is a fine target for ire. But please help separate facts and opinions from the lies about spyware and foreign control." The tweets were sparked by a piece in USGamer that comes to the pretty logical conclusion that, while the Epic Games Store has issues, it's not Chinese spyware. Those issues, Sweeney does acknowledge briefly, before clarifying (not for the first time) the relationship between Epic and Tencent. "All of Epic’s investors our friends and partners," he said. "None can dictate decisions to Epic. None have access to Epic customer data." Epic invited Tencent to invest back in 2012, when the studio was looking to get into online gaming, and Sweeney says it's a decision he's never regretted. Sweeney's "100% responsible" for every big decision that Epic makes, which are all made in the US, he explained. Proponents of the Chinese spyware theory believe that Tencent's 40 percent stake in the company means that they're able to influence decisions made about the Epic Games Store, to the extent where they could talk Sweeney into teaming up with the Chinese Government to spy on people. So there you go. Tim Sweeney says he's not part of a communist intelligence gathering plot. And call me bonkers, but I think he probably isn't.